Mr. Basile is the Managing Member at Spilman Thomas & Battle, PLLC Attorneys at Law in Charleston. His primary areas of practice are state and local government law, business expansion and development, land use planning, and administrative law centering on economic and community development. He is experienced in drafting and promoting legislation and administrative rules before the West Virginia Legislature and Executive Branch. Mr. Basile’s notable career portfolio includes serving as Associate General Counsel, General Counsel and Deputy Chief of Staff to the Office of Governor Gaston Caperton (1994 – 1997), General Counsel to the West Virginia Development Office (1993 – 1994), and Assistant and Senior Assistant Attorneys General (1991 – 1993). Basile’s professional affiliations include the High Technology Foundation Board of Directors (June 2015 – Present); Charleston Inter-Regional Chamber of Commerce, Chairman (2008 – 2014), Board of Directors (2004 – Present); Charleston Area Alliance, Chairman, Executive Committee, Board of Directors (2004 – Present); Vision Shared, Inc., Board of Directors (2006 – 2014); Discover the Real West Virginia, Board of Directors, (2009 – Present); and the Young Presidents’ Organization, Mountain State Chapter, Member (2008 – 2011). 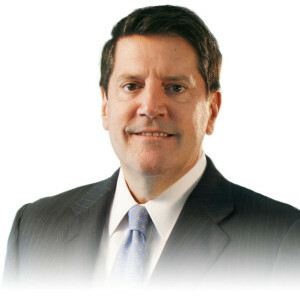 Basile’s awards and distinctions include being nominated by his peers for inclusion in The Best Lawyers in America, Government Relations Law and Mergers and Acquisitions Law, being recognized by Chambers USA for America’s Leading Lawyers for Corporate/Commercial Law, and being listed in West Virginia Super Lawyers for Business/Corporate and Government/Cities/Municipalities. A native of Fairmont, Basile earned a bachelor’s degree in finance from West Virginia University and the Juris Doctor degree from the University of Pittsburgh.